Exhibition hall lighting is famously poor. Yet it is often the first casualty of budget cuts during a stand build. But why go to the expense of showing of your best product, in anything less than the best lighting? 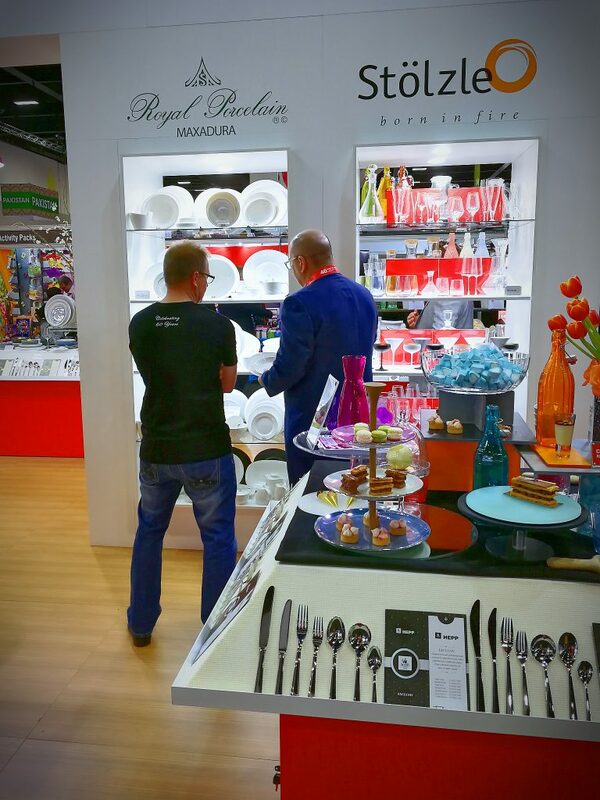 Tomkin Australia are an industry leading supplier of hospitality products. One of the most troublesome items to display prominently and in a flattering light is glassware. Single directional lighting is too uneven and creates multiple unflattering shadows. 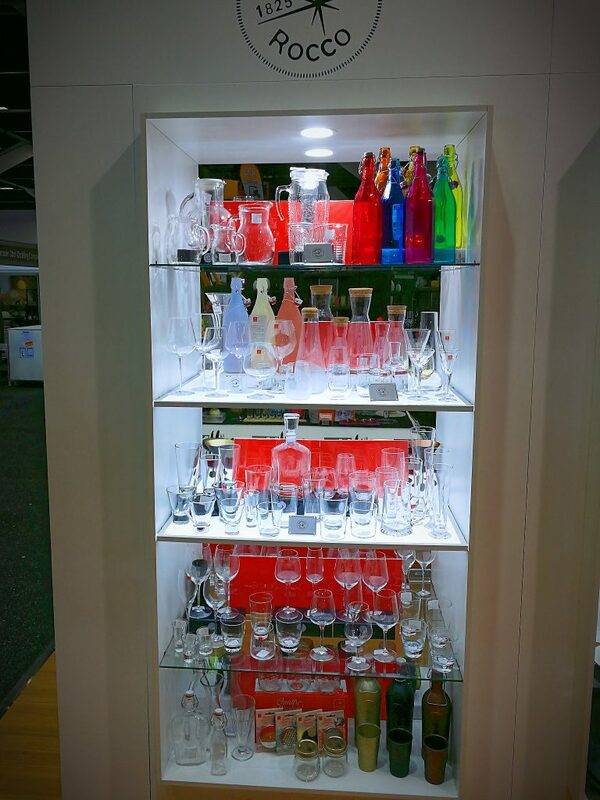 In their most recent stand innovation we deployed a new even lighting shelf system called Pixalux. Even lighting from both the top and bottom shelf unit was the perfect way to hero key items, having them stand out from the crowd. It was obvious to passing traffic, still a distance away, that these shelving units were lit up with something special that needed to be visited and inspected.